Read about the prosecution of medical marijuana patients on the state and federal level in these WEED WARS court case profiles. United States v. Marijuana court cases include federal jury trials that resulted in sentences of up to 25 years for medical marijuana dispensary owners, protracted legal battles after child protective services steals children from their parents for farming a plant, plus numerous of cases destruction and forfeiture of property in a massive SWAT-style raid, followed by a prolonged period of waiting to see which entity (state or federal) files charges against the defendant. Due to the possibility of decades-long sentences in the federal system, the vast majority of cases are never heard by a jury; defendants are sentenced by federal judges to mandatory minimums after pleading guilty to a reduced set of charges offered by the prosecution in a plea deal. A critical issue left unresolved by Mower is how much marijuana patients may cultivate or possess. 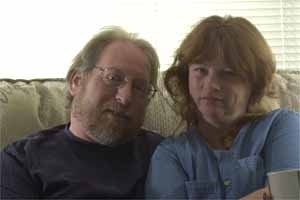 In one of the first post-Mower trials in the state, patients Martin and LaVonne Victor of Temecula were denied a pre-trial dismissal by Judge James Warren on account of the fact that the amount of marijuana they had harvested (between 8 and 21 pounds) created a reasonable doubt as to whether they intended to sell it. The Victors say they had never grown marijuana before, and were told by police they could grow 15 plants. Having done so, they say the plants yielded more than expected. A defense fund has been established to cover the costs of their jury trial: Victors’ Legal Defense Fund, c/o MAPP, PO Box 739, Palm Springs CA 92263.